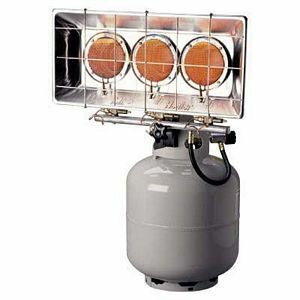 15, 30 & 45k BTU propane tank mounted heater. Hi Medium Low setting. No electric needed. Infrared heat heats an area fast. Uses standard 20lb tank.